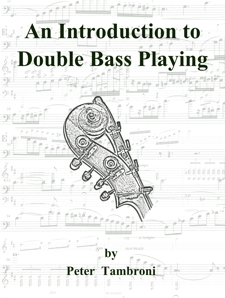 DiscoverDoubleBass.com is an outstanding resource that offers exceptional courses for any double bassist. This is more my experience with and support of the courses. I highly recommend the courses at DiscoverDoubleBass.com. I’ve been taking the Practiceology and Thumb Position courses and this my experience with them. I don’t feel any online course is intended to replace ‘in person lessons’ but rather to supplement or enhance a curriculum. That said, these course are really impressive. As I’m taking the thumb position course I wish it would have been available and required when I was in music school. I’m not trying to be cryptic with the following – I don’t want to give away material that they are trying to make a living from. This is a very comprehensive. It really covers it all from the very beginnings to advanced levels such as artificial harmonics. This course is video-based with plenty of PDF supplements to download and use. As always, the supplemental materials are well organized and written. They layout is clear and easy to read. I personally found her exercises and etudes very useful and a great way to sharpen my skills. The lessons are very insightful and detailed. I adjusted some of my technique technique after listening to Lauren and it’s making a big difference in my playing. Thank you, Lauren! The course is a perfect introduction to thumb position but also a really great check-in or review for seasoned players. Practiceology gives you the inner workings of how a truly great musician practices. Lauren Pierce is a true virtuoso and incredible teacher. Her methods and strategies lay the ultimate foundation for effective practice and continuous improvement. This course mixes plenty of videos along with reading material and PDF supplemental downloads. Practiceology provides details on both mental approaches and written examples to perform and incorporate in to your routine. There is a lot of information in this course. I took notes while taking it and often watched videos twice. I think some of the lessons could be expanded almost into their own mini class. I say that as a positive not a negative as the content is so relevant that diving deeper could be helpful. The addition of a closed facebook discussion group is an excellent adjuvant to the already comprehensive course. I’ve enjoyed having the conversations on the page. Lauren does a great job balancing seriousness and humor keeping everything light yet focused. After 30 years of bass playing Practiceology has truly supercharged my practice routine. I’m making more progress in less time and I don’t feel like I’m ever ‘spinning my wheels’ in my practice studio. Both courses are highly recommended! I plan on taking the other courses as well.